At Resilience Training we offer a comprehensive, evidence-based approach to strength and conditioning informed by the latest science and research. We aim to achieve improved athletic performance, fast-track injury rehabilitation, reduce musculoskeletal pain, and ensure injury prevention. Resilience training focuses on developing functional strength, neuromuscular integration, establishing proper body mechanics and movement patterns, and promoting symmetry of strength and flexibility throughout the body. A common Resilience training focus is to address strength and flexibility imbalances. Our bodies function most efficiently and are most resistant to injury when there is a balance of strength and flexibility across opposing muscle groups. Often through repetitive activity, one muscle will become short, tight and overused, and the opposing muscle group will be long, week and underused. Consider an Aussie rules football player for example. The primary actions of the sport involve a lot of running, jumping and kicking. Due to the repetitive nature of the sport, both in training and competition, an AFL player will usually overuse the muscles primarily responsible for these actions; in this case, the quadriceps and hip flexor muscle groups. Conversely, the antagonist muscle groups ⏤ in this case, the hamstrings and hip extensors ⏤ will usually be lengthened, weak and underused. You can think of the quads and hip flexors being like the athlete’s engine, and the hamstrings and hip extensors as the brakes. If the engine is too strong and powerful for the brakes, that’s when performance is impaired, and injury can occur. What is one of the most common injuries that you hear about being experienced by players in the AFL? Answer: hamstring strains and tears. An imbalance of strength and flexibility doesn’t just affect elite athletes. It’s also very common for anyone spending a substantial amount of time in front of a desk and computer. When a muscle is held in a shortened position for an extended period, the tissue will adapt to that position. In the case of desk and computer work, the muscles around the front of the chest and shoulders become short and tight, while the muscles at the back of the shoulders, neck, and upper back become long and weak. For a more detailed explanation of this process click here to read the ResilienceMT Blog post on Neck Pain. For both the AFL player and the office worker, a tailored strength and conditioning program is vital to ensuring that athletic performance is optimised, injury recovery is successful, and relief from musculoskeletal pain is ongoing. What is the JEMS Movement Method? 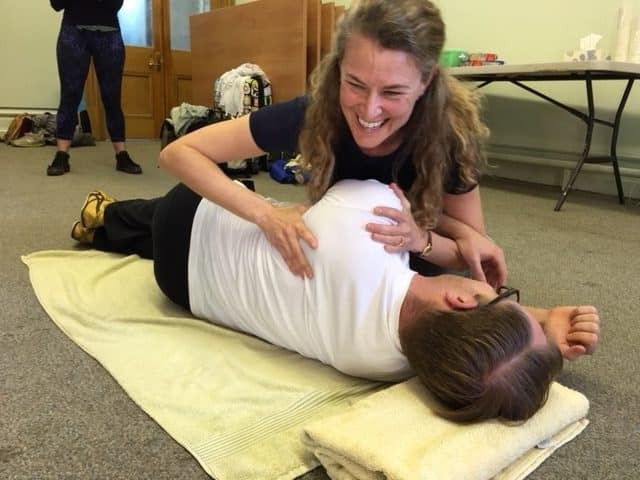 The JEMS movement method is a system of neuromuscular training developed by the internationally renowned physiotherapist and sports medicine lecturer Joanne Elphinston. Joanne’s clients include medalists in World Championships, the Olympic Games, and Commonwealth Games. Her clients compete in a diverse range of sports that include: Rugby, Tennis, Kayaking, Rowing, Judo, Weightlifting, and Cycling. She has also been Head of Performance Movement for the British Olympic Association, and for over ten years has been a consultant to the National Dance Company of Wales. For more information about Joanne click here. In the words of JEMS founder Joanne Elphinston, the JEMS mission is a simple one. It is to “enable people of all backgrounds, ages and levels of physical ability to learn the art of working with their body instead of against it, to have confidence in their bodies, and to reclaim and enjoy the activities that matter most to them.” The goal of JEMS is to help you unlock the potential of your body’s movement capabilities. Simply stated, JEMS movement is “the art of moving beautifully.” Moving beautifully is getting the best result, with the least amount of effort, and placing the minimum amount of stress on the body. The JEMS movement method utilises gentle, low load, neuromuscular exercises to retrain the muscle firing patterns of the body. Too often strength coaches focus only on getting more muscle activation. This is where JEMS is different. JEMS focuses on not only on getting the right muscles to switch on, but also on getting the right muscles to switch off, at the right times, and with the right amount of effort for the task being performed. At Resilience Training, Chris is passionate about sharing the JEMS movement method and is one of a handful of formally accredited JEMS clinical rehabilitation trainers in Australia. Chris first began his study of the JEMS movement method over five years ago and has incorporated JEMS movement practice into much of his daily training routine. JEMS is suitable for all ages and levels of physical ability. It requires very little in the way of equipment and can be performed easily at home, and its principles can be seamlessly incorporated into more traditional strength training programs. Chris has successfully used JEMS principles to rehabilitate people with significant physical impairment as well as optimise the performance of athletes competing at an international level. 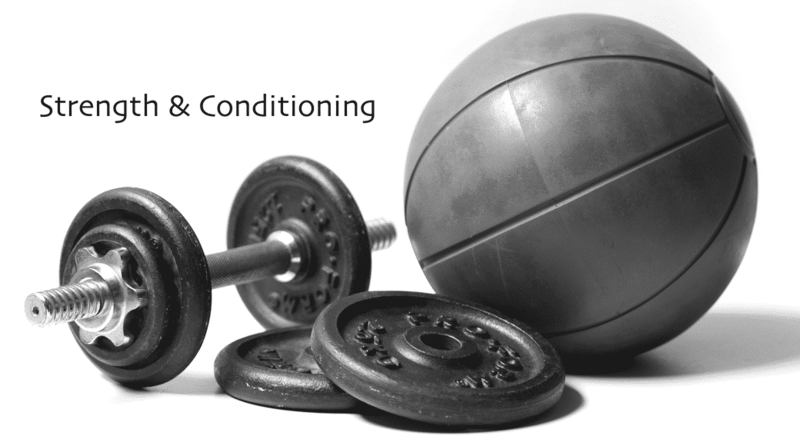 How does Strength and Conditioning work? We sit down for a chat and precisely map out what your performance/rehabilitation goals are. This could be anything from improved athletic performance, functional strength and skill development, injury rehabilitation, or just achieving a level of physical well being so that you can romp with the grandkids at the park and not pull up sore the next day. We assess your current level of strength, flexibility, proprioception, balance, physical ability, and determine what we need to do in broad terms to make your training goals achievable. We begin mapping out a comprehensive training plan and program. We implement that plan and provide as many resources and ongoing support as you need to make your training goals a reality. Is Strength And Conditioning Training right for me? To discuss your specific training requirements and needs, contact Chris Gauntlett to find out more.